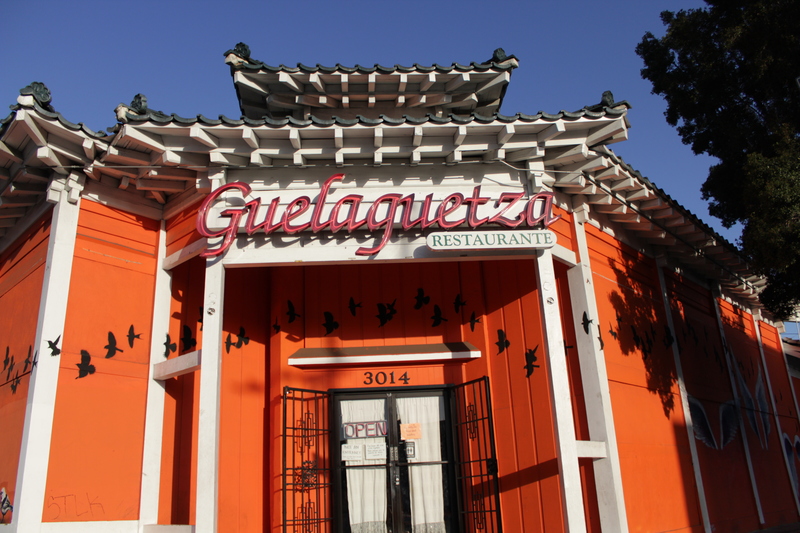 The LA Times Food Bowl in Los Angeles teamed up with Guelaguetza, a longtime running Oaxacan restaurant, to host a pop-up dinner led by Chef Rodolfo Castellanos (of Origen) and Chef Diego Hernandez (of Verlaine). This was a one-night residency for the LA Times Food Bowl that hosted over 30 guests. Guelaguetza, a James Beard Award winner, also famously praised by Jonathan Gold, promoted this event heavily and many of the guests were their regulars, who were excited to be introduced to Chef Rodolfo, known as one of the leaders of contemporary Oaxacan cuisine. Chef Diego of Corazón de Tierra, one of the 2016 Latin America’s 50 Best Restaurants, recently opened Verlaine in West Hollywood. 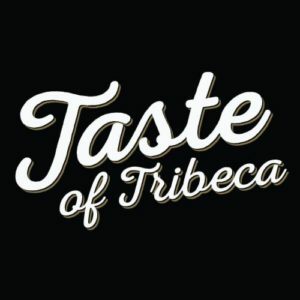 Join Us at Taste of Tribeca This Weekend! 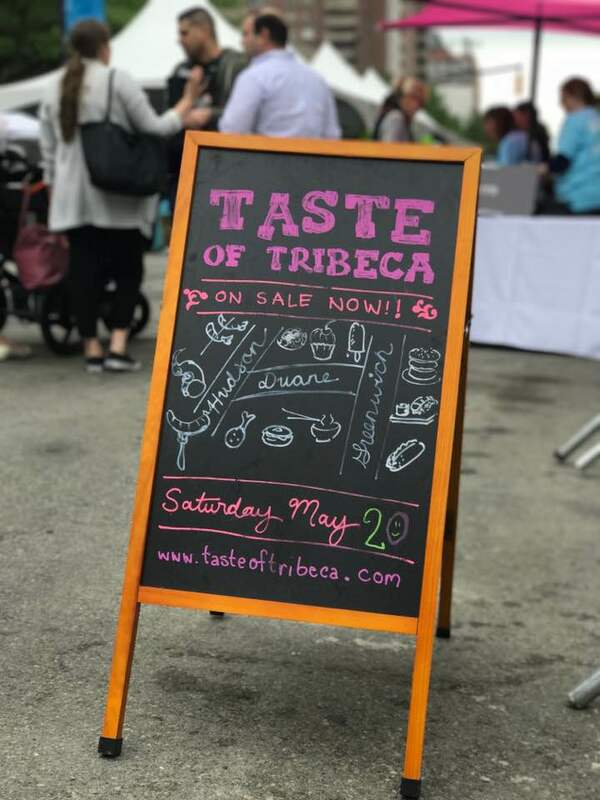 This Saturday, May 20th, the 23rd annual Taste of Tribeca will take over the streets of downtown Manhattan for one of my favorite food fests of the year! The annual gastro get-together benefits local public schools by bringing together the area’s top chefs for a day of pure indulgence and stuffing your face. I mean what’s better than food, fun and philanthropy? This year, I’m super excited to chow down until I fall down. 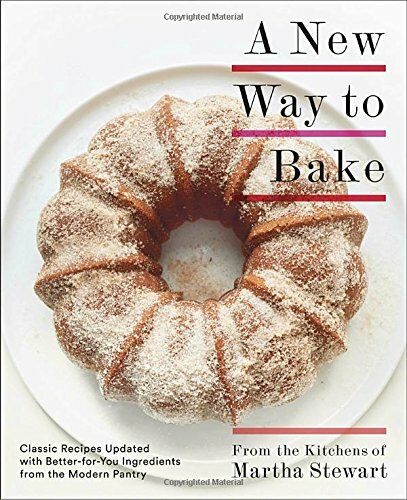 With bites from places like Bouley Restaurant, Bubby’s Tribeca, Duane Park and Tribeca Grill, no wonder this is a fave among the NYC foodie masses. 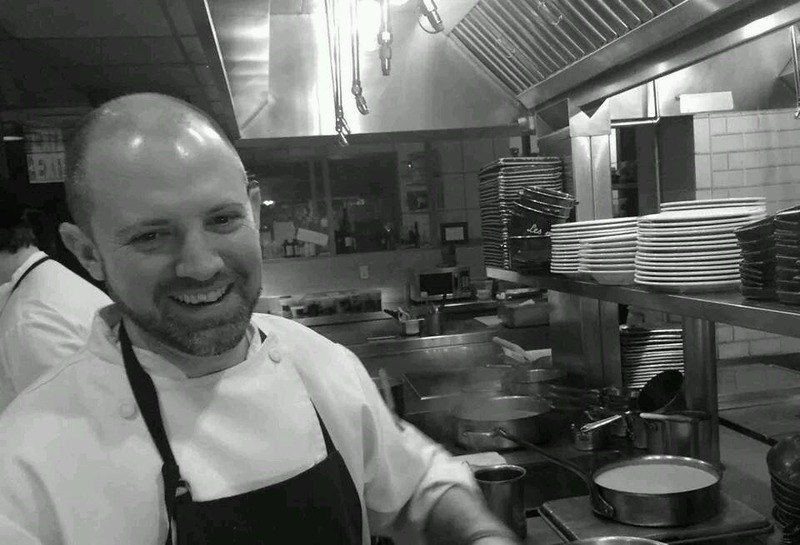 And I even got an extra special advanced treat this year – I got to sit down with one of this event’s favorite culinary masters, Chef Scott Burnett of Tribeca Grill, for a “taste” of what to expect. 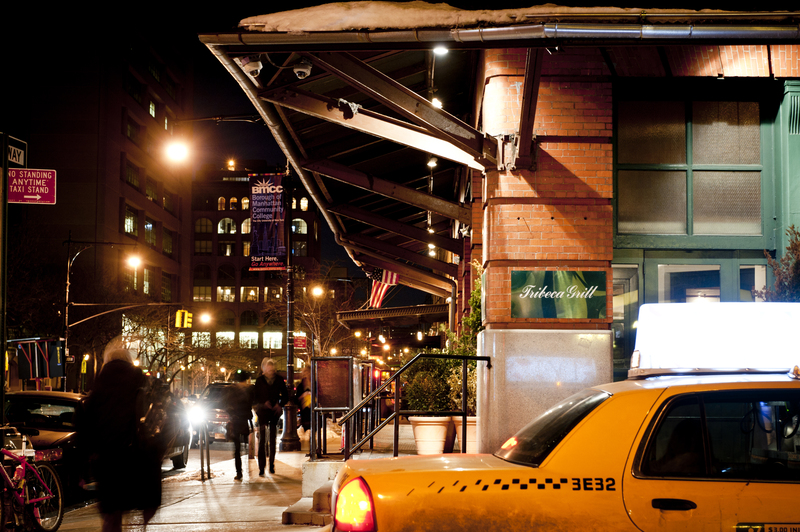 Tribeca Grill is considered one of the golden restaurants and has been participating with Taste of Tribeca every year since the fundraiser started 23 years ago (in 1994). Why did you decide to participate in Taste of Tribeca? Tribeca Grill opened in 1990, 27 years ago, and is one of the restaurants that helped establish the Tribeca neighborhood. The Grill has participated in Taste of Tribeca from the very beginning, to support the local schools, and to help foster a sense of community. What is your favorite thing to eat that isn’t on of your creations? I have a diverse palate and like to eat many different things. A simple roast chicken at home always satisfies. If you could go anywhere in the world for a culinary experience, what would it be and why? I’m intrigued by the idea of going to Morocco and North Africa. I love the spices and herbs that are part of the cooking there. I grew up in a restaurant family, and started working at many different tasks at a young age. 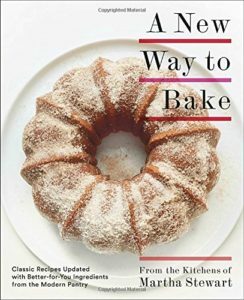 I enjoy cooking in a business that extends hospitality, so it’s a very natural and satisfying career for me. We’ve just started offering Fried Calamari coated with Masa, that’s gluten-free. It’s a very tasty dish. 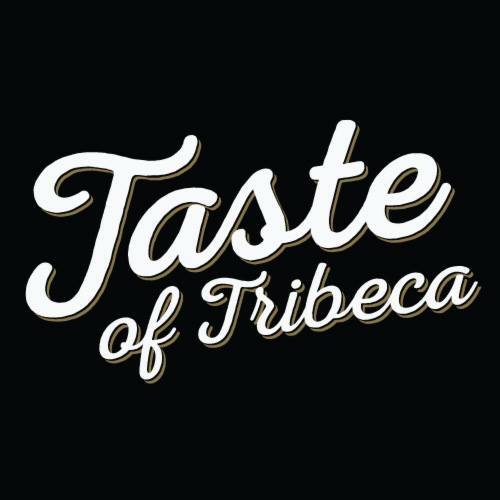 Besides your items, are there any special foods that you’re excited for at Taste of Tribeca? I know that our sister restaurants Bâtard and Nobu Downtown are going to have great choices, and I’m looking forward to meeting our neighbors and fellow chefs. I know that there is going to be a lot of creativity on the plate! Join me in sampling the best dishes in town to support the arts and enrichment programs at local schools! Tickets are $45 and on sale now at http://www.tasteoftribeca.com. Each tasting ticket includes six food tastes from any of the participating restaurants, a beverage and two pours of beer or cider. Tickets will also be available full price on the event day ($55). There are very few things in this world that I love more than tacos, to be quite honest, tacos were over half the reason I even moved down to San Diego. 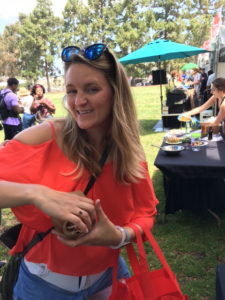 That being said, I was probably way too excited to go back to Tacotopia, at Golden Hill Park, this year to help cast my vote for the Most Innovative and Best Traditional Tacos in San Diego. 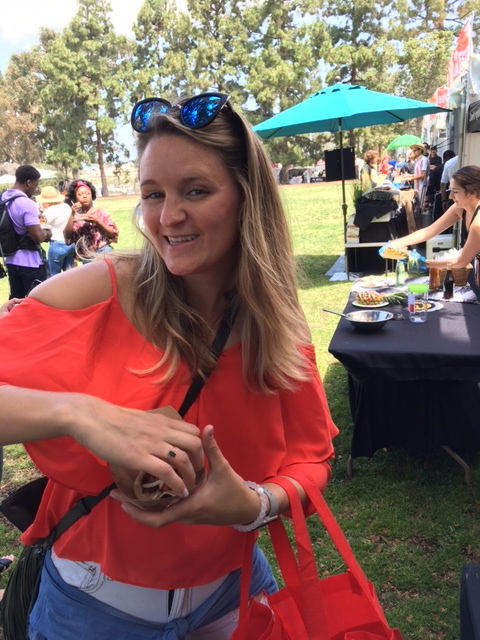 My friend Courtney and I spent our Saturday in Golden Hill Park eating our way through over 50 of San Diego’s best tacos! It’s a tough job, but somebody’s got to do it! 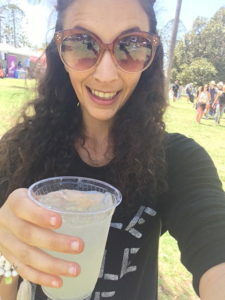 This event put on by the San Diego Reader is always extremely well-executed with various beverage companies sampling products, tons of prizes and giveaways, live music, and this time- margaritas! 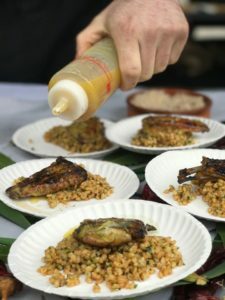 The LA Food Bowl, a premiere month long food festival, presented by the Los Angeles Times, is in full swing in Los Angeles. 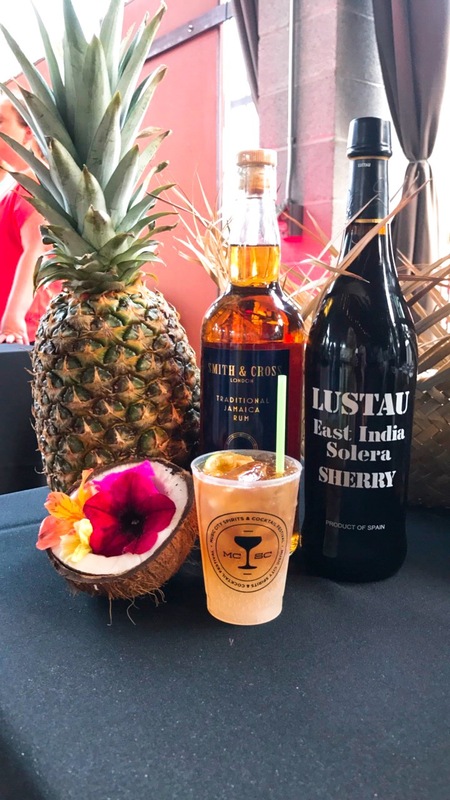 All things pertaining to food and beverage, including various markets, tastings, workshops and even documentary screenings, are taking place in multiple locations all over LA and surrounding areas. 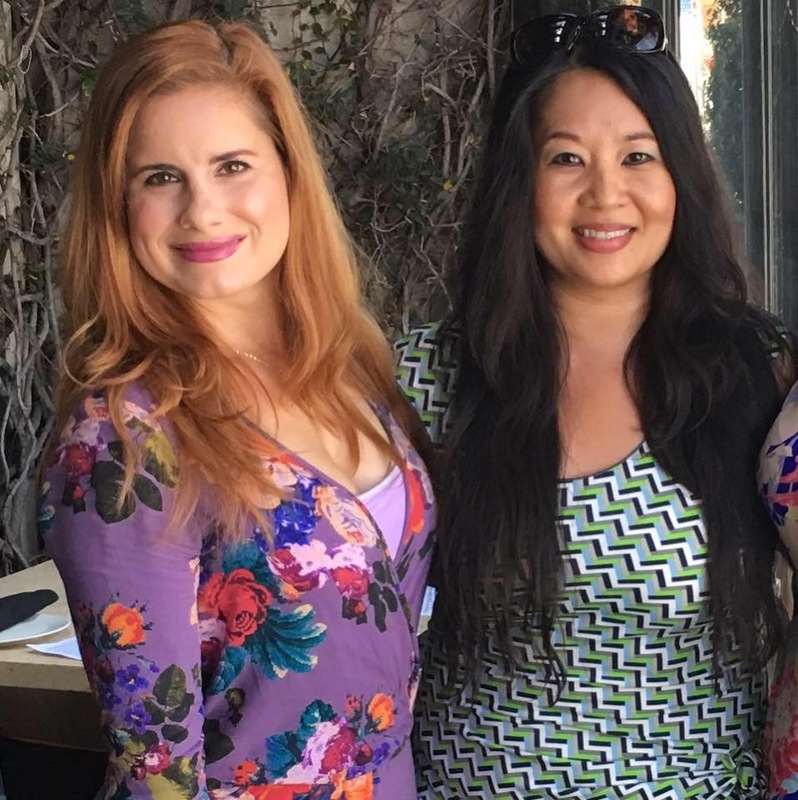 In addition to celebrating the best the Los Angeles food scene has to offer, LA Food Bowl is making a point to promote awareness on food waste and hunger. I know everyone is gushing over the Night Market, but I don’t like outdoor events with a ton of people waiting in line for small bites (sorry guys!) I’d rather take a workshop and learn new skills. When I heard Electric City Butcher, a butcher shop in Santa Ana’s 4th Street Market, owned by Michael Puglisi, Richard Lu, Steve Sabicer and Shelia Anderzunas, would be hosting their signature Pork 101 workshop for Food Bowl attendees, I jumped at the chance to take it. I had never stepped past the deli counter at my local butcher, so it was an opportunity to learn more about what goes into my meats. *This workshop can also be taken at Electric City Butcher outside of LA Food Bowl. I’ve been living in LA since 2013, but I’m still considered a newbie. There’s so much to do, so much to see, my bucket list is endless. One of those items is to see a live show at the legendary Hollywood Bowl. 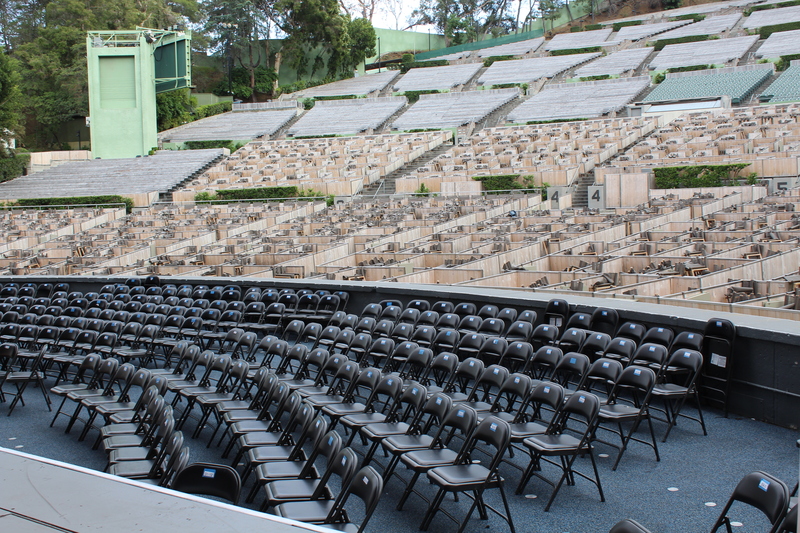 The Hollywood Bowl, the iconic amphitheater, is the summer home of the Los Angeles Philharmonic and the host to hundreds of musical events each year. I had to pinch myself to see if I was dreaming when I received an invite, on behalf of Girls on Food, for their summer season preview held last night. While it wasn’t a musical performance, there was a DJ spinning tracks from their summer line up. The craziest part of this event was- I had no clue it was actually going to happen in the famous shell! I imagined we’d be in the seating, not participating as the starring act on stage! I love eating food, but when all that noshing is for a good cause, it tastes even better. That is exactly what happened last weekend at the Garden To Table Dinner hosted by Independence Gardens. Sarah Allen is a first grade teacher at a school with a high percentage of economically disadvantaged students. The students live in an area referred to as the “food desert” because of the lack of grocery stores within walking distance from their homes. The need for access to healthy foods and the knowledge of nutrition is heartbreakingly real. When she heard about Independence Gardens and their mission she knew she had found the perfect partner. I am a first grade teacher as well. I have seen first hand the effect lack of nutrition can have on children. I was beyond excited to receive an invitation from Chonnie Richey, Founder of Independence Gardens, to attend the event. 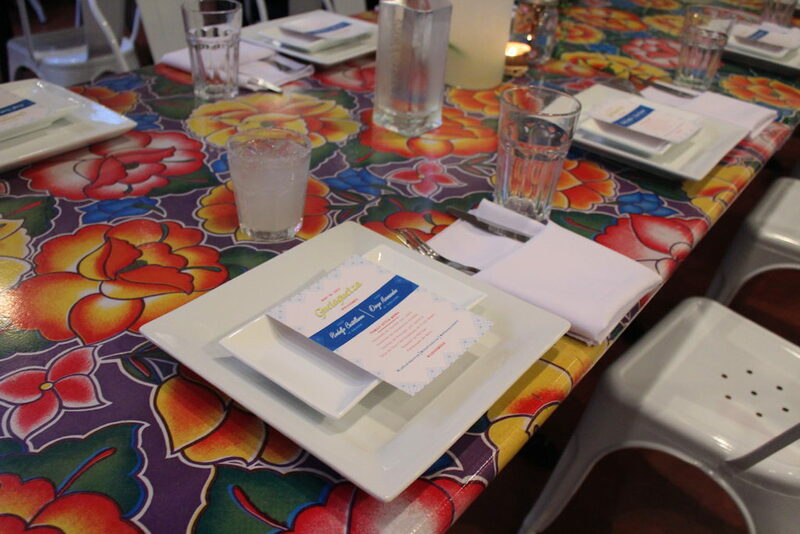 The six course menu was inspired by the fruits and vegetables growing in the community schools gardens and each course was cooked by a different local chef. It was an absolutely beautiful night to eat outside and the entertainment put on by the students was stellar. Ocean Avenue’s Day At The Races, was a culinary walking tour jam-packed with food, drinks and entertainment. Select Santa Monica restaurants, located within walking distance, such as Del Frisco’s, Red O, O+O Sicilian Kitchen and Bar, Chez Jay, Jimmy’s Famous Tavern, and Herringbone and also the Loews Hotel come together and celebrate the Kentucky Derby. Proceeds went to the Surfrider Foundation, which is an organization that is dear to me. Surfrider Foundation helps protect our beaches and to keep our waters clean. I was fortunate enough to meet and speak with three core volunteers Summer, Josh and Graham from the West Los Angeles Malibu Chapter. My son has participated in beach clean ups before for Dock Weiler (#proudmomma!) so I was happy for him to meet others who are noble in their care for beaches as well. We were given a card that mapped out all 7 places we needed to visit and had to have checked off on our list. Once you complete the card, you have the opportunity to bring it back to the main booth at Del Frisco’s and be entered in a drawing to win a night stay at The Shore Hotel. Who wouldn’t want to win staying at a cool, chic and hip hotel right on Ocean Avenue? Chef José Andrés Presents Dine N Dash DC – Get Your Tickets Now! 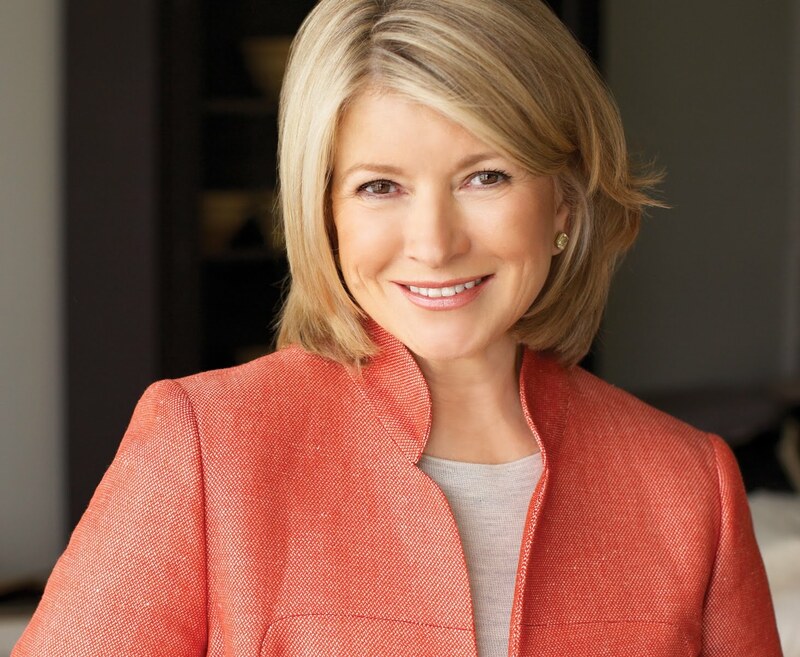 Will all my DC foodies please stand up?! Dine-N-Dash is back for its fifth year and better than ever! My favorite Chef, José Andrés, along with special guests Ted Allen (host of CHOPPED) and Andrew Zimmern (co-creator of Bizarre Foods on the Travel Channel) will be hosting this year’s event on June 7th starting at 6:00 p.m.
For one night only, guests will be able to “taste the city” and have access to unlimited food and drinks at over 30 restaurants in DC’s Penn Quarter and 14th Street Corridor neighborhoods. Leave your wallet at home and eat and drink to your heart’s desire until 10:00 p.m while enjoying live music as well. This night is sure to be a foodies dream. I’m most excited to try some of the great DC restaurants like Colada Shop, Estadio, and Graffiato to name a few. 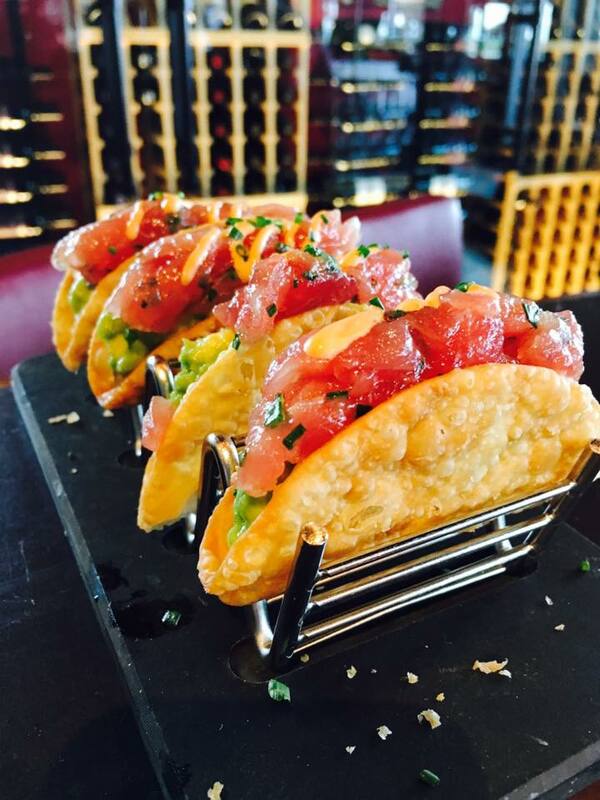 Also, this year the new MGM Grand National Harbor will be blessing us with pop-ups of some of their restaurants too, like Fish! 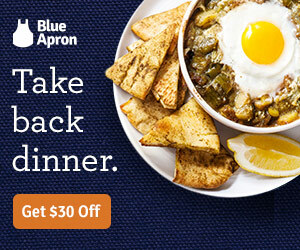 A full list of participating restaurants can be found here: 30 Restaurants, One Night, No Rules. Worried about crowds and lines? Don’t be! Event guests will have different restaurant starting points, and wait staff will be there specifically for the event. 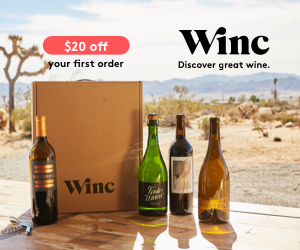 There will be ample opportunity to sample everything! 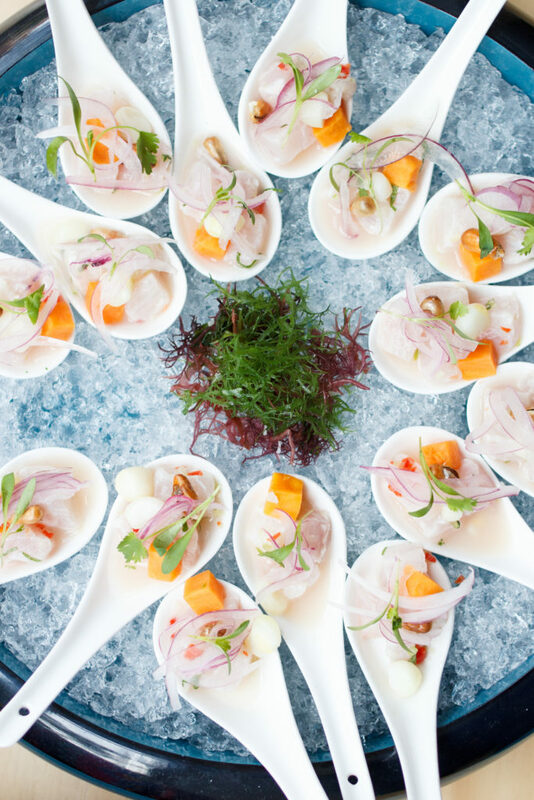 Tickets start at $125, and all proceeds benefit World Central Kitchen, a non-profit organization started by Chef José Andrés that uses the “power of food” to strengthen communities through health, education, and jobs. Go grab your tickets right now here. You’re sure to have a serious case of FOMO if you don’t! It’s been another crazy weekend in the Music City. Not only did we have the usual cast of characters: bachelor/bachelorette parties, concert-goers, and tourists, but this weekend we had thousands of visitors from around the country participating in the Rock and Roll Marathon. I, on the other hand, kept it local and had the chance to see what the Music City Spirits and Cocktail Festival was all about. Cocktail connoisseurs and imbibing enthusiasts from across the city came together to celebrate craft cocktails, award winning bar programs and some of the city’s top mixologists. This multi-day festival had something for everyone. Kicking off the party on Thursday was an event sponsored by Cooper’s Craft, Bourbon and Bluegrass, two of Nashville’s favorite things. How can you not get excited for a culinary crawl that celebrates the Kentucky Derby and raises funds for the Surfrider Foundation? I know I am! Restaurants and hotels along Santa Monica’s premier oceanfront street come together for Ocean Avenue’s Day at the Races, a culinary walking tour to celebrate the Kentucky Derby and raise funds for the Surfrider Foundation on Saturday, May 6, from 12-5 p.m.
Come out and support by purchasing a ticket for $40 here (a portion on all ticket sales will benefit Surfrider Foundation). 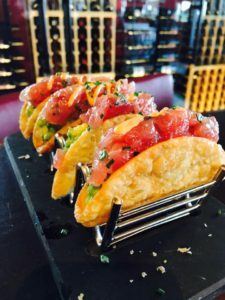 This crawl will begin at Del Frisco’s Grille with their signature Ahi Tuna Tacos and a complimentary Mint Julep courtesy of American Born. Then we’ll trot along for food and drink tastings at each of the participating locations and watch the race at 3:34 p.m.
Food offerings include classic Sicilian meatballs at O+O Sicilian Kitchen & Bar. Julianne recently checked out this new-ish spot and I’m excited to try all the Sicilian goodness myself! Then we’ll race off to try Corn & Goat Cheese Tamales at Red O, Oysters Rockefeller at Herringbone, Chicken and Beef Empanadas at Shore Hotel and more.